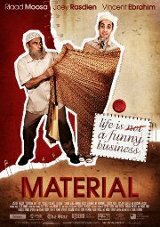 This South African dramedy is about an Indian family, who are in the rag trade. The son, recently reaching manhood, is expected to take over the family business. However he has other ideas, having a love for stand-up comedy, much to his father's frustration. We look at how they resolve the situation.